Be sure to set yourself up for success by transitioning from “life mode” to “work mode” every morning. This can best be done by dedicating a physical work location in your home or apartment where work is done. Other physical changes that can help your transition include showering and changing your clothes as if you were going to the office or wearing shoes/ slippers to feel like you are fully dressed and ready to focus. Any remote worker will tell you that having insufficient technology can be the demise of a successful setup. To ensure you are set up for the most successful system possible, initially ask if your employer utilizes the best communication tools so you can feel included despite the physical distance from coworkers. On top of supplying you with a reliable laptop and keyboard, one of the best things your company can provide you with is a unified communication platform to video conference and instant message with fellow employees every day. Be sure to ask when you are interviewing for remote positions if they implement these systems or if there is room to adopt them in the future. One of the most challenging parts of working remotely can be knowing when to “log off” for the night. Because technology allows us to be connected at all times, it can be beneficial to work when you are most productive but also difficult to set boundaries of when you are available. To combat this difficulty, develop the habit of setting a designated end time and inform your coworkers of when you will be logging off. If you fail to set this precedent when you first start in a remote position, you could set the standard that you are available 24/7, which could cause issues down the line. As you enter the working world, keep these tips in mind when interviewing for and starting a remote position. 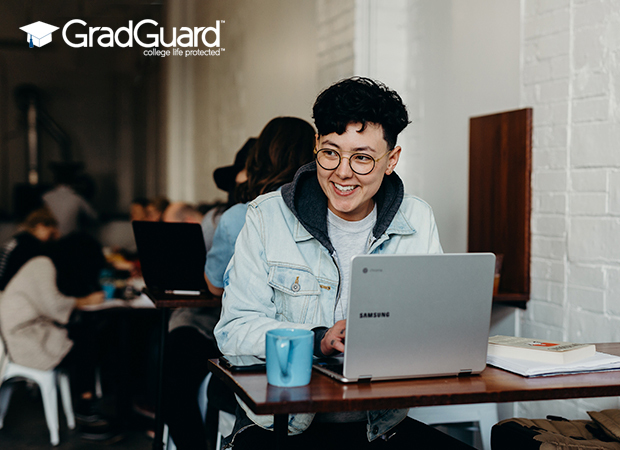 If you rely on these starting points and tips from GradGuard, the transition into the remote working world will be a breeze.